Based on the sales figure of the previous few months, the sales of TVS Ntorq is increasing, at the same time, figures of Grazia and Burgman are going down. TVS is riding success with its two scooters. Jupiter and Ntorq are amongst the best-selling in their respective 110cc and 125cc premium scooter segment. TVS Ntorq is one of the most technologically advanced scooters in India. Premium features combined with an affordable price tag makes it a top-selling scooter. Looking at the monthly sales, the sales chart of Ntorq is touching above 20,000 units for the past few months. In November, it made sales of 20,715 units. Its biggest competitors include Suzuki Burgman Street and Honda Grazia. Both the scooters fit in the premium segment and also come in a similar price range. Meanwhile, the figures of Burgman and Grazia are going down every month. When Burgman was launched, it made around 9,000 units. Now it has fallen down to average 6,000 units per month. Honda Grazia was similarly selling more than 10,000 units every month, for the past few months. Its figures have also fallen down to 6,000 units for November 2018. Looking at the specs, all three scooters are placed similarly. However, in terms of features and styling, all the three are different. That’s where Ntorq emerges as the winner. TVS Ntorq comes with features such as Engine Kill Switch, Bluetooth Connected Speedometer, Fully Digital Console with 55 features and LED DRLs. It also displays Top speed recorder, in-built lap-timer, last parked location assist, service reminder, trip meter and multi-ride statistic modes such as Street and Sport. Burgman Street and Grazia come with a similar feature list include LED headlamps, LED DRLs, Fully digital instrument cluster, USB Charging slot and more. However, a Bluetooth console like one in Ntorq, does not come in most of the scooters. 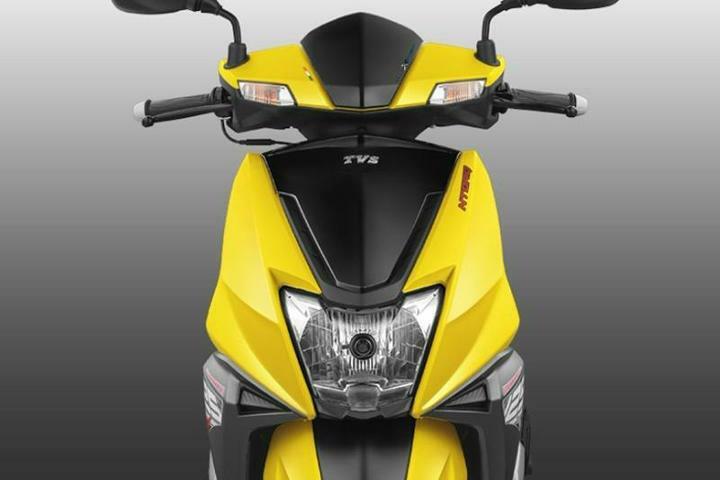 Moreover, TVS Ntorq adapts a sporty style. Even Burgman offers a sporty look, but Grazia does fail to do so. Burgman classifies as a touring scooter because of its comfortable seating and dedicated footrests. Talking about the prices, Ntorq is the cheapest at Rs 59,800. Grazia goes for Rs 64,923 and Burgman is the most expensive at Rs 68,000 (ex-showroom prices).